Basic services such as electricity, gas, water, sewage treatment, and telephones may be cut off for days, or even a week or longer. Or, you may have to evacuate at a moment�s notice and take essentials with you. You probably will not have the opportunity to shop or search for the supplies you need. Kit Locations Since you do not know where you will be when an emergency occurs, prepare supplies for home, work, and vehicles. Home Work Car Your disaster supplies kit should contain essential food, water, and supplies for at least three days. 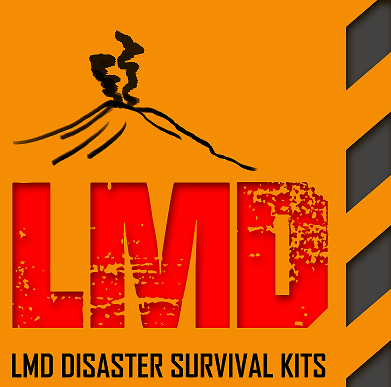 Keep this kit in a desig�nated place and have it ready in case you have to leave your home quickly. Make sure all family members know where the kit is kept. Additionally, you may want to consider having supplies for sheltering for up to two weeks. This kit should be in one container, and ready to "grab and go" in case you are evacuated from your workplace. Make sure you have food and water in the kit. Also, be sure to have com�fortable walking shoes at your workplace in case an evacuation requires walking long distances. In case you are strand�ed, keep a kit of emer�gency supplies in your car. Water How Much Water do I Need? You should store at least one gallon of water per person per day. A normally active person needs at least one-half gallon of water daily just for drinking. Individual needs vary, depending on age, physical condition, activity, diet, and climate. Children, nursing mothers, and ill people need more water. Very hot temperatures can double the amount of water needed. A medical emergency might require additional water. How Should I Store Water? To prepare safest and most reliable emergency supply of water, it is recommended you purchase commercially bottled water. Keep bottled water in its original container and do not open it until you need to use it. Observe the expiration or �use by� date. If you are preparing your own containers of water It is recommended you purchase food-grade water storage containers from surplus or camping supplies stores to use for water storage. Before filling with water, thoroughly clean the containers with dishwashing soap and water, and rinse completely so there is no residual soap. Follow directions below on filling the container with water. If you choose to use your own storage containers, choose two-liter plastic soft drink bottles � not plastic jugs or cardboard containers that have had milk or fruit juice in them. Milk protein and fruit sugars cannot be adequately removed from these containers and provide an environment for bacterial growth when water is stored in them. Cardboard containers also leak easily and are not designed for long-term storage of liquids. Also, do not use glass containers, because they can break and are heavy. If storing water in plastic soda bottles, follow these steps Thoroughly clean the bottles with dishwashing soap and water, and rinse completely so there is no residual soap.Sanitize the bottles by adding a solution of 1 teaspoon of non-scented liquid household chlorine bleach to a quart of water. Swish the sanitizing solution in the bottle so that it touches all surfaces. After sanitizing the bottle, thoroughly rinse out the sanitizing solution with clean water. Filling water containers Fill the bottle to the top with regular tap water. If the tap water has been commercially treated from a water utility with chlorine, you do not need to add anything else to the water to keep it clean. If the water you are using comes from a well or water source that is not treated with chlorine, add two drops of non-scented liquid household chlorine bleach to the water.Tightly close the container using the original cap. Be careful not to contaminate the cap by touching the inside of it with your finger. Place a date on the outside of the container so that you know when you filled it. Store in a cool, dark place.Replace the water every six months if not using commercially bottled water. Avoid foods that will make you thirsty. Choose salt-free crackers, whole grain cereals, and canned foods with high liquid content. Stock canned foods, dry mixes, and other staples that do not require refrigeration, cooking, water, or special preparation. You may already have many of these on hand. (Note: Be sure to include a manual can opener.) Include special dietary needs. Jacket or coat. Long pants. Long sleeve shirt. Sturdy shoes. Hat, mittens, and scarf. Sleeping bag or warm blanket (per person). Be sure to account for growing children and other family changes. See Appendix B for a detailed checklist of disaster supplies. You may want to add some of the items listed to your basic disaster supplies kit depending on the specific needs of your family. WASHINGTON - The U.S. Department of Homeland Security's Ready Campaign (www.ready.gov) is sponsoring the fifth annual National Preparedness Month (NPM) in September with support from more than 2,700 NPM coalition members, the largest amount to date. NPM coalition members, consisting of national, regional, state, and local organizations, will combine efforts throughout the month of September to encourage all Americans to take steps to prepare for emergencies before they happen. The Ready Campaign and Citizen Corps (www.citizencorps.gov) are encouraging individuals across the nation to take important preparedness steps that will greatly improve their ability to survive and recover from all types of emergencies, whether natural or man-made. These steps include getting an emergency supply kit, making a family emergency plan, becoming informed about the different emergencies that may affect them, and getting involved in community preparedness and response efforts. NPM coalition members are encouraging Americans to prepare for emergencies in their homes, businesses, schools, and communities by hosting events such as seminars, fairs, community outreach events, workshops, webinars, and trainings. For a complete list of events, please visit www.ready.gov. Senate Homeland Security and Governmental Affairs Committee Chairman Joseph I. Lieberman and Ranking Member Susan M. Collins, along with House Homeland Security Committee Chairman Bennie G. Thompson and Ranking Member Peter T. King, will serve as honorary Congressional Co-Chairs of NPM 2008. They will lead the effort to increase public awareness about the importance of emergency preparedness on Capitol Hill and throughout the country. For more information on the Ready Campaign and NPM, please visit www.ready.gov or www.listo.gov. Individuals can also call 1-800-BE-READY or 1-888-SE-LISTO for more emergency preparedness information. February 2008 marked the Ready Campaign�s fifth year at the Department of Homeland Security. 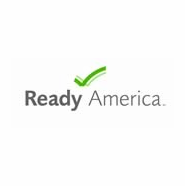 Launched in 2003 in partnership with The Advertising Council, Ready is designed to educate and empower Americans to prepare for and respond to emergencies, including natural disasters and potential terrorist attacks. It has proven to be one of the most successful campaigns in Ad Counci�'s more than 65-year history. Since its launch, the campaign has generated more than $756.5 million in donated media support. Individuals interested in more information about family, business and community preparedness can visit www.ready.gov.